Alternatively click on the link below and take a look at the Admissions Guide for Parents in Nottinhamshire. This booklet may help answer any questions you have! School Admission Arrangements 2018-19 Find out how to enter into the consultation about admission arrangements for 2018-19 by following this link. Average attendance at Maun in 2017-18 for pupils F2-Y2 was 95.7%. This is an improvement on 2016-17 and continues our downward trend in absence over the last few years. 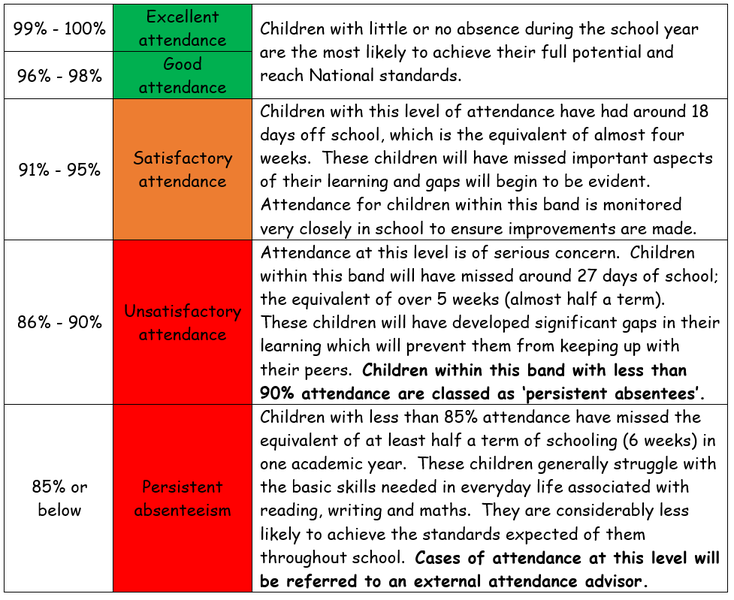 For children of statutory school age (Y1/2), our average attendance was even better last year (96.1%), bringing us into line with national expectations. Well done everybody - let's try to do even better this year! Last year, our children tracked their own team attendance in our weekly Attendance Space Race. Congratulations to the Squirrels who won all three terms for the best team attendance. They enjoyed choosing their termly treats in celebration. A new race has now begun for 2018-19 and all our children are determined to be winners this time. Good luck everyone!